As we Spring into March it’s time to begin thinking about getting out into the paddocks to start harrowing (if the British weather can hold up for the next few weeks!) We answer some first time questions on harrowing and have a few tips to get you on your way. Harrowing is one of the key elements to preparing your paddocks this spring and upkeep through Summer & Autumn. Whether using mounted, folding or simply chain harrows, it’s getting to the time of year to start working on any grass maintenance or pasture renovations. This may be out on the paddocks, sand schools, sports fields, race courses or golf courses. The tines on our range of harrows are 13mm diameter which is a good robust size and the depth is 5ft. You can get variations in the length but we find that the 5 foot length is great for smaller tractors and quad bikes even over any tougher patches of grass or compacted soil. The best type of harrow for all round application is one with 3 way tines. Where you have flexibility to be using an aggressive, passive or smooth harrowing motion when turning the harrow bed. Throughout the year you may find you have aerated any compacted areas and just want to level out a molehill or two and turning over to a more passive harrow quickly does the job. The tines on the mounted harrows beds are also 3 way. They can be unhooked from the frame and turned if needed when changing from aggressive paddocks to smoothing out sand. Although these are just the basic stages to good grass maintenance you should only need to roll the ground once to allow for easy regular topping. Re-seeding may not be required at all but it is good to keep an eye on any bare patches. Essentially regular harrowing is key to new growth and in turn you will need to be out topping frequently through the summer months. We would love to get your views and advice on harrowing, why not take part in our straw poll “When should you start Harrowing?” We are very much divided here in the office! 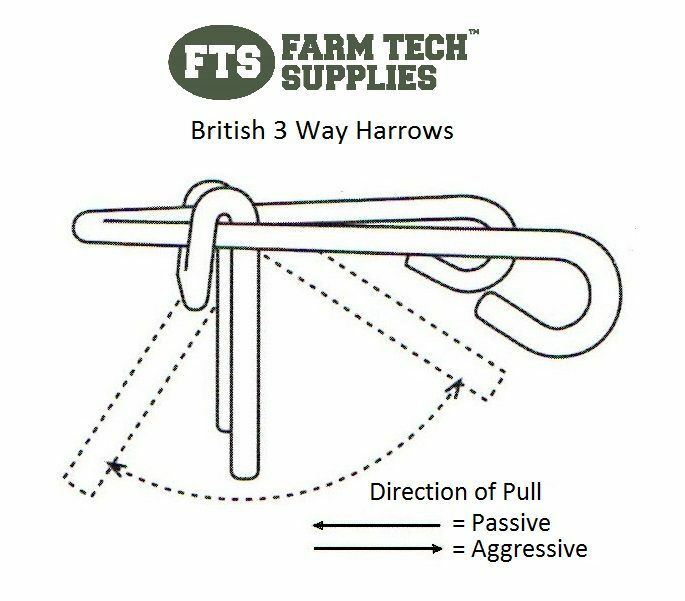 Now is the time to get hold of a set of harrows, we have a great range of British harrows in stock to prepare your paddocks this spring.